Culture secretary John Whittingdale has questioned whether the BBC's main evening television news bulletin should continue to be broadcast at 10 o'clock. Speaking in Cambridge, he asked whether it was "sensible" for ITV and the BBC to broadcast news at the same time. The two programmes used to go out at different times, before evening schedules were shuffled 15 years ago. Mr Whittingdale also criticised BBC One for failing to show more distinctive programming. "It is important to look at the impact the BBC has on commercial rivals," he told TV executives at the Royal Television Society in Cambridge. "To give one example, is it sensible for its main evening news bulletin to go out at the same time as ITV's?" "So I can confirm that my department is commissioning independent research into some of the BBC's impact on the market." Mr Whittingdale also called on the BBC to make the iPlayer available outside the UK. "It is only right that for someone who has paid access to a subscription service - or even just a licence fee - to be able to access that content on holiday overseas," he said. "That's why I urge the broadcaster to make their content available, and to come forward with proposals for portability and how this can be made to work for the industry." The culture secretary had earlier announced a review of how the BBC is governed and regulated. It raises the prospect of the BBC Trust being replaced with a new independent regulator as part of the renewal of the corporation's Royal Charter. Mr Whittingdale said the process of deciding the BBC's future should "explore" how the corporation "fits into the contemporary broadcasting landscape and how it might be even better". 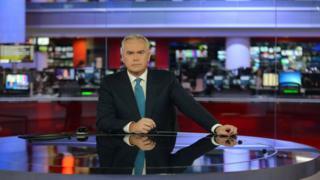 However, he added, there was "no threat to the BBC's status as a world class broadcaster".